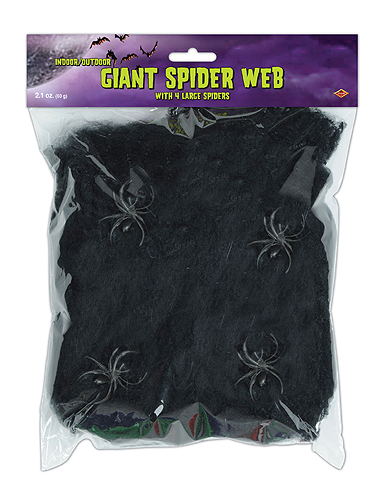 This creepy black spider web will stand out against white walls, and offers a great "invisible" effect for dark spaces. Perfect for indoor and outdoor decorating. Includes 4 black spiders. 2.1 oz.